Illus. in full color. 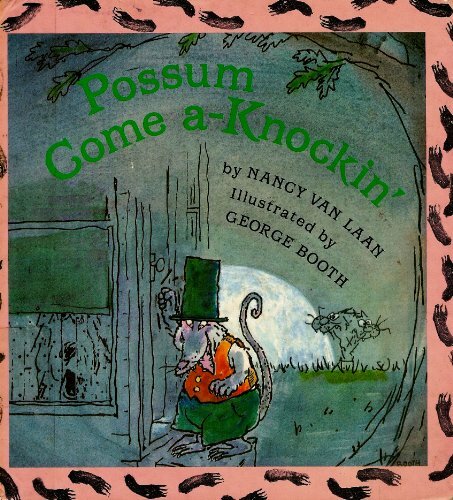 "While Granny is a-rockin' and a-knittin' and Ma's a-cookin' and Pa's a-fixin', that old possum in his top hat and vest just keeps on knocking. 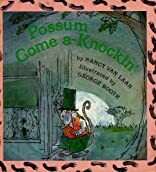 The narrator, a redheaded boy, tries to tell family members about the possum, and when the family checks, the possum hides. Should be popular with story-hour groups."--Booklist. About Nancy Van Laan (Author) : Nancy Van Laan is a published author of children's books. Some of the published credits of Nancy Van Laan include Sleep, Sleep, Sleep, Nit-Pickin, Scrubba Dub. About George Booth (Illustrator) : George Booth is a published illustrator of children's books. Some of the published credits of George Booth include Starlight Goes to Town, Nit-Pickin, Never Tease a Weasel (Picture Book).